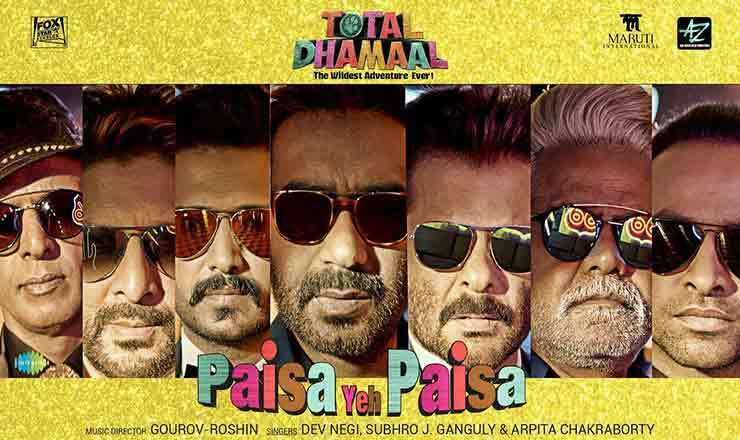 Presenting the Paisa Yeh Paisa Lyrics from the movie Total Dhamaal. The song has been sung by Dev Negi, Subhro Ganguly, Arpita Chakraborty, while lyrics have been penned by Kunwar Juneja. The music of this song has been composed by Gourov-Roshin. The movie Total Dhamaal stars Ajay Devgn, Riteish Deshmukh, Arshad Warsi, Javed Jaffrey, Madhuri Dixit, Esha Gupta and Anil Kapoor. The film is scheduled to be released on 22 February 2019. 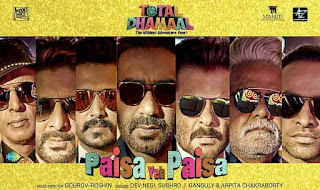 ला ला ला ला ला..
Paisa Yeh Paisa Lyrics from the movie Total Dhamaal is composed by Gourav-Roshin. The Lyrics of this song has been composed by Kunwar Juneja.